Campsite Sternberger Seenland is a campsite with 120 touring pitches and 5 year round pitches. During low season, between 01-04-2019 - 28-05-2019, 12-06-2019 - 30-06-2019 and 01-09-2019 - 31-10-2019, the nightly rate is €20,- at one of the 120 touring pitches at Campsite Sternberger Seenland in Sternberg (Mecklenburg-Vorpommern). At this campsite you can not only use your CampingCard ACSI for inexpensive camping, you can also use your ACSI Club ID (as an alternative ID). The campsite is next to a small lake and on the edge of a wood. Lovely spacious marked out pitches on grass. Kayaking and canoeing possible. Natural locations close to a small village with a historic centre and many beautiful restored houses. een prachtige camping aan het meer waarin het goed zwemmen is. Mooie grote plaatsen met centrale gebruik schotel. Wifi was aanwezig bij receptie maar wel heel goed te doen. Voorzieningen waren prima misschien het douchen aan de prijs maar wel goed. Zeker een plekje om naar terug te gaan. Would you like to book Campsite Sternberger Seenland or request more information? You can do both using the information below. Route 192 Wismar-Malchow. Follow camping signs at Sternberg. 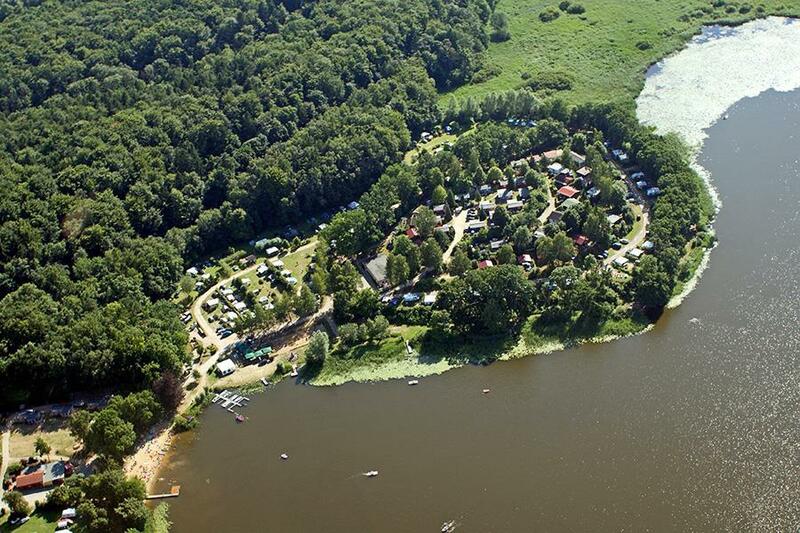 CampingCard ACSI will send your information request to "Campsite Sternberger Seenland".